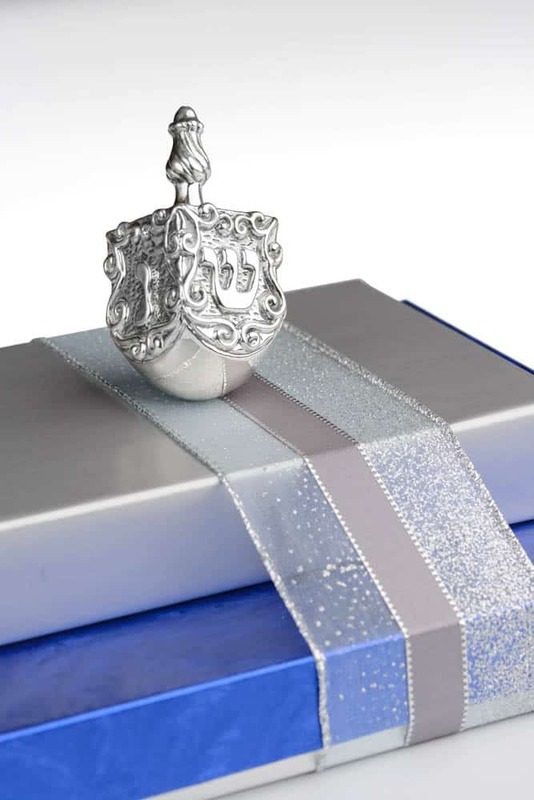 Gift the luxury and elegance of real sterling silver. 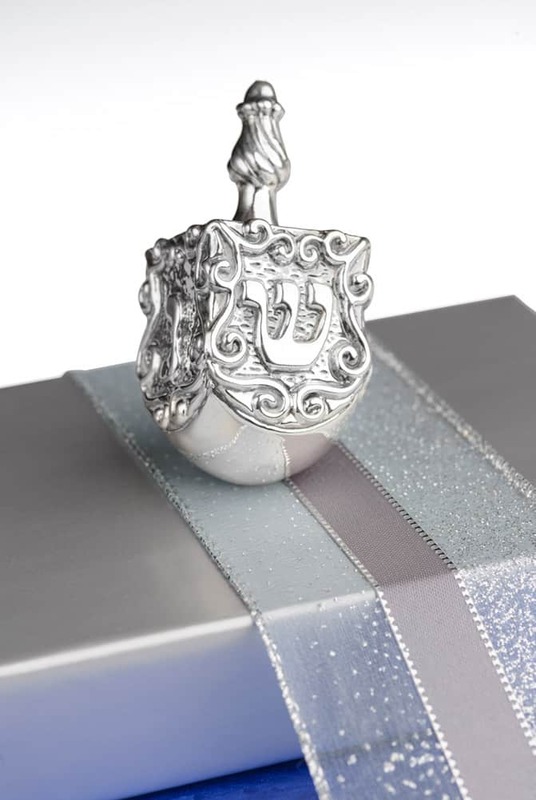 Our classic .925 sterling silver-coated dreidel arrives atop of two gift boxes full of gourmet Chanukah treats. We start at the bottom with our Jewish Star 20-piece decadent chocolate truffle sampler. 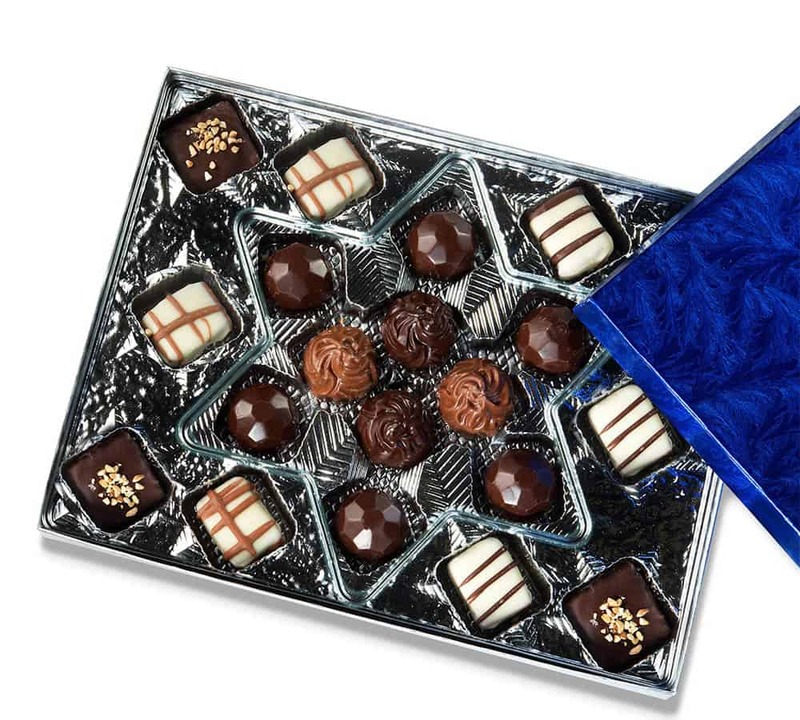 The sampler includes dark chocolate crunchies, white chocolate crunchies, fudge bites, hazelnut diamond truffles, chocolate praline creams, white chocolate mochaccino truffles, and espresso truffles. 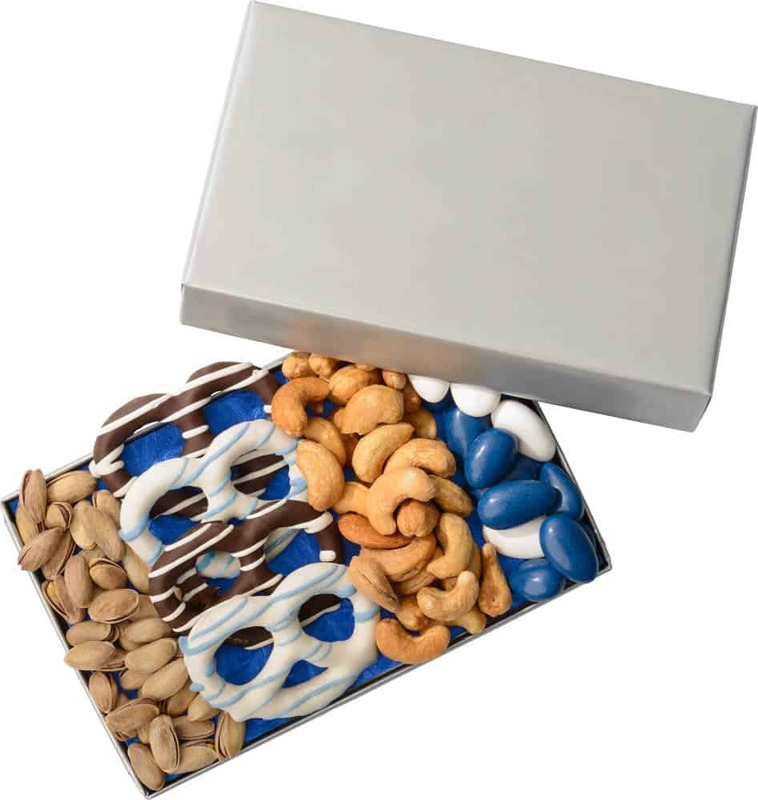 The top tier includes gourmet dark and white chocolate-covered pretzels with white and blue drizzle, savory cashews, delicious pistachios, and festive Jordan almonds. 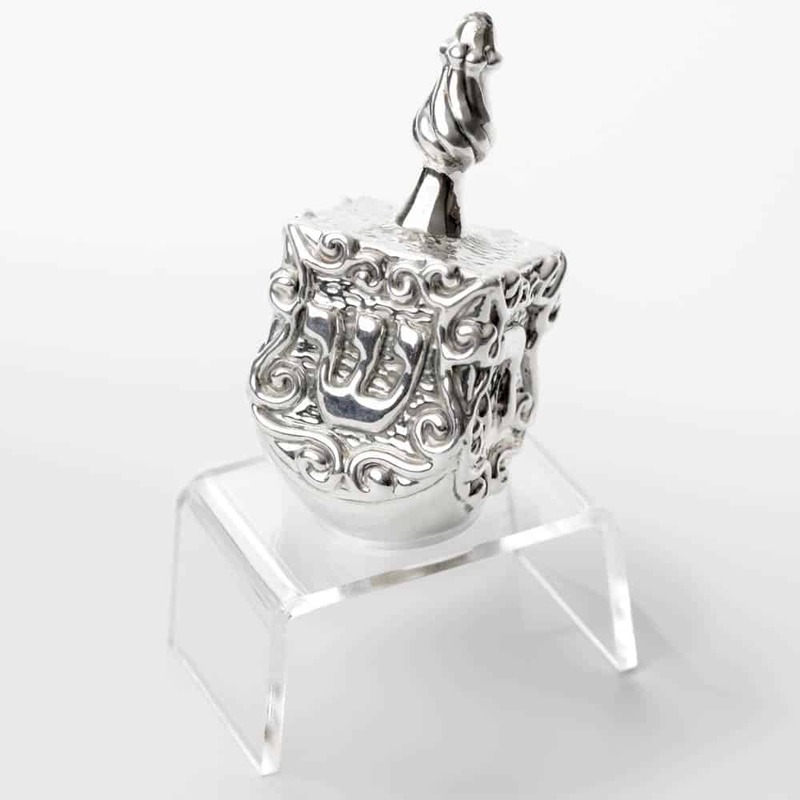 This makes an outstanding gift. 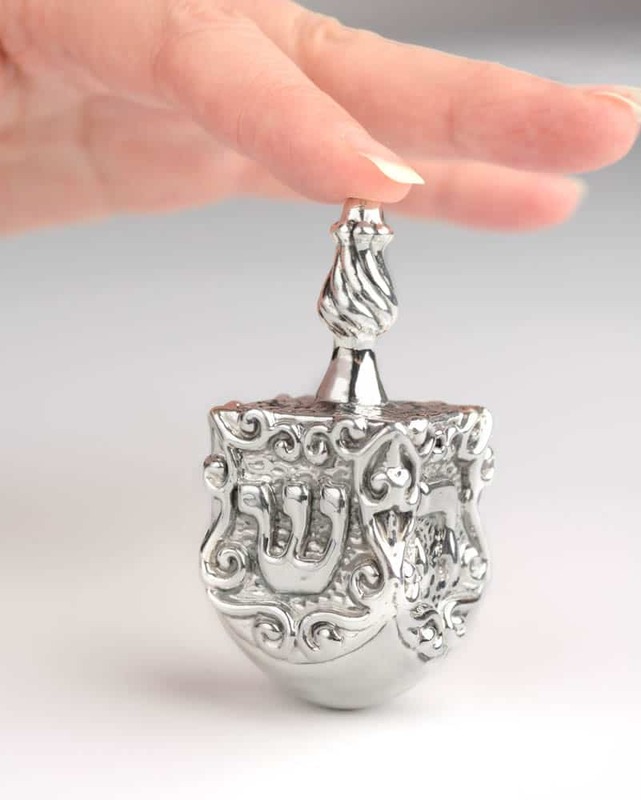 The sterling silver-coated dreidel measures 4″ high x 2″ wide and comes with an acrylic dreidel stand. Bottom tier box measures 10″W x 9″H x 1.25″D. Top tier measures 4.75”W x 7.25”W x 1”D. Food items are individually bagged for freshness. Not recommended to be shipped to weather above 70 degrees.